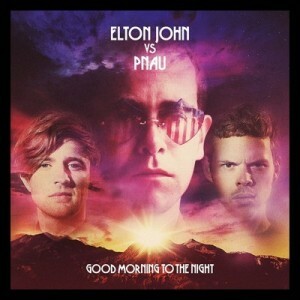 There’s still not been official confirmation of an Aussie release for Sir Elton John’s new collaborative album with homegrown dance/pop heroes Pnau, but from the two tracks that have already seen the light of day, there’s every reason to be getting moist with excitement about it. ‘Good Morning To The Night’ is to be released in the UK in mid July (we’re assuming an Australian release at the same time), but with the infectious title track already doing the rounds (listen HERE) and the second single ‘Sad’ premiering on BBC’s Radio 2 late last week (below), we reckon there’s every chance that Reg might be able to follow up the 2003 re-release of his single ‘Are You Ready For Love’ with another British smash. We’re actually quite excited for this release. And we’re expecting it (perhaps) on Friday July 20.